Here's a nice surprise, the European Nintendo Download Update details have been sent out, no doubt in order to capitalise on E3 buzz. This week includes a huge release on Switch, some intriguing downloads, a long awaited demo, a bunch of E3 discounts and more besides. Let's get to it. 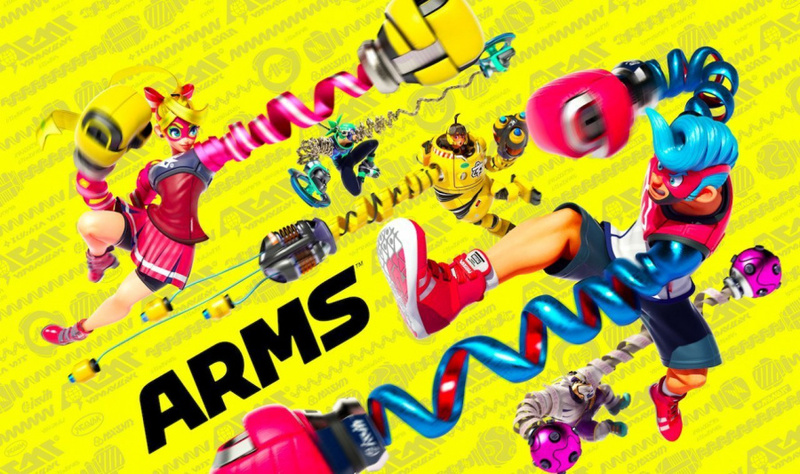 ARMS (Nintendo, €59.99 / £49.99) - This new IP now needs little introduction, and Switch owners can soon get into some fights with wacky extendable arms. Solid online options, varied modes and more content coming for free in the future, some reckon this'll be Nintendo's 'next big thing'. We were certainly fans in our ARMS review. Available from 16th June. 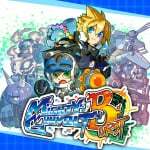 Mighty Gunvolt Burst (Inti Creates, €9.99 / £8.99) - This adopts retro-style visuals and the action platforming puts an emphasis on getting close to enemies before attacking. With nods to past Inti Creates gems this certainly looks promising, and will also come to 3DS later this month. 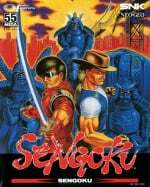 Sengoku (HAMSTER, €6.99 / £6.29) - The Neo Geo ACA games keep coming, this time with a beat 'em up arcade title. We reviewed this a long time ago on the Wii Virtual Console, and will take a fresh look soon. Ever Oasis (Nintendo, €35.99 / £31.49 instead of €39.99 / £34.99 in exchange for 30 Gold Points) - Available from 23rd to 30th June. RPG Maker Fes (NIS America, €35.99 / £35.99 instead of €39.99 / £39.99 in exchange for 30 Gold Points) - Available from 22nd to 30th June. No NA sales? At all? Thanks a lot, Nintendo. I'll probably download Mighty Gunvolt Burst but ARMS should take up most of my time for a while. Err....there are some NA discounts. The Nintendo E3 2017 has details. Now go apologise to Nintendo for your snark. Poor week and poor sales. I'll download the Brain Training demo and Fire Emblem free DLC. I really think Nintendo should take a leaf out of Son'y book, with regards on how to do sales. Nintendo's holding out on me. My Nintendo Rewards discounts for yet unreleased games? Since when is that a thing? Great price for Xenoblade Chronicles! I'll definitely pick it up. What a sinfully Boring sale for 3ds. @Ralek85 I think NoE started with that sequel to the Hotel Dusk series, before it released. Dr Kawashima, it's been too long. ARMS and Mighty Gunvolt Burst for me! Can't wait for Azure Striker Gunvolt 1+2! @Reverandjames I just hope they make past WiiU/ 3DS VC purchases carry over. I mean, if they expect me to buy these games again, most of which I have already bought AT LEAST twice, then I'd be genuinely upset and might just resort to an emulator on my 'regular' Nvidia Shield tablet. I rather play on the Switch, and further support their VC service obviously, but not at any cost against all reason. @RainbowGazelle Did not know that, I mean, that's actually pretty ... dare I say useful? I hope we'll see this for more games in the future. @SLIGEACH_EIRE It's just going to keep getting worse for you if you're just going to cling to the Wii U. It's time to Switch. I owned Sengoku on my dedicated 4-slot back in the day. It's a great game and I'll definitely be downloading that. Arms is coming in physical form for me though. Sengoku for sure!! 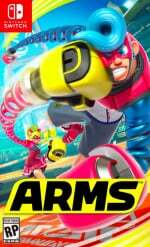 Picking up ARMS on friday... and YOU should too! @Ralek85 I think Virtual console will be a subscription service which is why they didn't cover it at E3. We'll likely know more when the online service rolls out. After all the buzz, I actually consider grabbing the first Metroid. ARMS is on my list for sure, but outqueued by a bunch of other titles so far. Isn't Cars 3 due this week, too? eShop is still listing it for June 16. @Reverandjames I doubt they'll cover the whole range though, it will either be focused on a platform, like the NES, as it was initially revealed, or it will be a PS+ situation where you get a few select games every month/week. No way they're gonna make their whole VC library accessible for $20 a year. Shame there's no ever oasis demo. Maybe next week hopefully. @Ralek85 Oh yeah, for sure. Imagine the work that would have to be put in to releasing every single Nintendo game ever. I think they will release 1 a month and the $20 a year will more than cover that. @Reverandjames Yeah but 1/month would be a horror show without making additional games available for sale or just making the already released stuff (on 3DS/WiiU and bound to NintendoIDs) available. I mean one a month, assuming a 5 year lifecycle after VC launch, would leave folks with an entirety of 60 games for the whole generation. not me ... did you mean someone else ? Why isn't Metroid Zero Mission included in the Wii U sale...? @SanderEvers I'm probably more likely to get the yellow joy-cons than Arms at this stage... Got to be physical for me when I do dip, but SFII is all the fighting action I need for now. More likely to get Gunvolt this week. @gcunit It was a MyNintendo discount reward not too long ago. @gcunit It already has a My Nintendo sale for some platinum coins. Do the My Nintendo sales go active tomorrow? I might get partners in time since I've never played it. 1. This is the article for European releases. 2. There was a separate article for just the American E3 sale! "No NA sales? At all? Thanks a lot, Nintendo." Just the Devilish Brain Training demo for me this week. @Switch81tch I don't think Nintendo can just cut eshop prices for Wii U without seriously hacking off 3DS and, later, Switch owners who are stuck with the higher prices. And, as is clear from this site, Wii U users are pretty darn loyal, and a good number won't have ditched their consoles yet - they only just got Zelda three months ago, so the device is still sitting by the TV. We don't have that Xenoblade Chronicles 3D discount in North America 😑 I want to buy it. I already own the Wii version, but I want by my side all the time. @Ralek85 Since Fire Emblem Fates I believe? Xenoblade Chronicles X is still £10 more expensive on sale than the Physical Wii U version is brand new n sealed. Steel Empire currently only a few pounds too expensive!